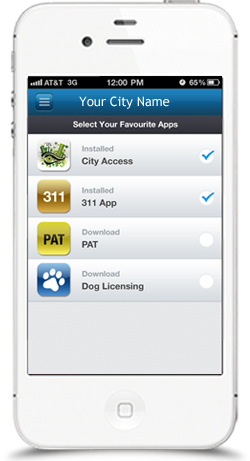 CityGovApp was created to help cities and counties easily and quickly benefit from mobile apps. Our extensive library of city and county mobile apps has been developed based on input from city government staff, citizens, and our own extensive experience in the public sector. Cities and counties are using our apps today for engaging citizens, lowering costs and increasing internal productivity. Our low monthly subscription model allows agencies to deploy mobile apps regardless of their size or budget. Simply contact us with the mobile app(s) of interest, and we do all the rest - publish, upgrade, and support the apps. It’s that simple!